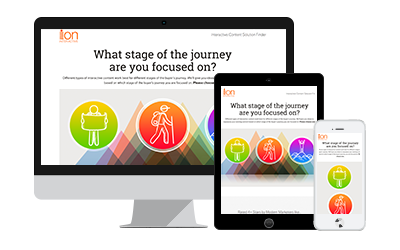 Useful, interactivity to help you evaluate your digital marketing and learn more about interactive content experiences. Score your landing pages and get instant recommendations. Learn how your landing pages stack up and what you can do to improve them. 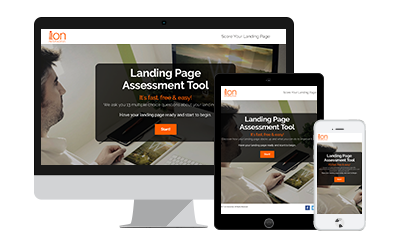 Have your page ready, step through the assessment, and get insightful recommendations. How does your content marketing stack up? 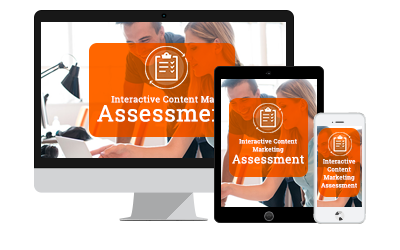 See how your content marketing stacks up against Content Marketing Institute’s 2017 research findings by completing our 5-question assessment. 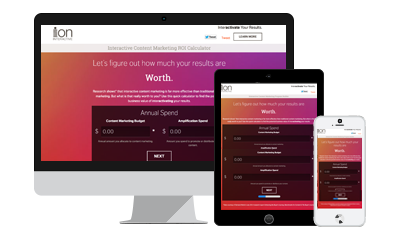 When you’re done, we’ll show you how you stack up, give you some recommendations, let you email them to yourself or your colleagues, and give you the entire CMI research study—absolutely free. Get an instant plan for repurposing your content. Static content (white papers, infographics, research reports, webinars, etc.) repurposes and scales into more engaging interactive content. But how? Which content scales best? Into what kinds of experiences? And how does that align with the customer journey? This solution finder answers those questions in just a few minutes. Try it. And get an instant, preliminary content repurposing plan. 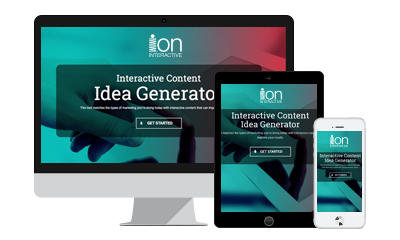 What can interactive content do for you? Research shows that interactive content marketing is far more effective than traditional content marketing. But what is that really worth to you? Use this quick calculator to find the potential business value of your content. 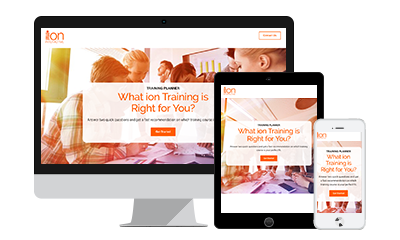 Design your personal ion platform training track. We offer different training and use-case experiences depending on your role and background. When you tell us a bit about yourself, we instantly place you in a track with a training plan and the capabilities you’ll have. Try it. 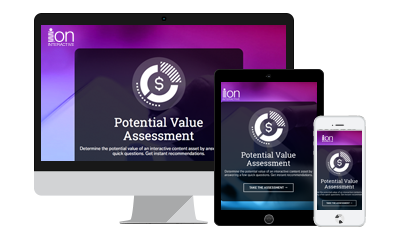 Create an ion services program that delivers the results you need. Most marketers have few resources and even fewer hours. We understand. And we have the experience and expertise to get results from your content. Run through this assessment, give us a sense of your needs and priorities, and get a program summary in return. 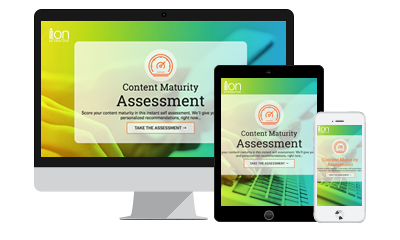 Score your content maturity in this instant self assessment. We’ll give you a score and personalized recommendations. Repurpose the content you have today into much more. Unlock your content’s full value. 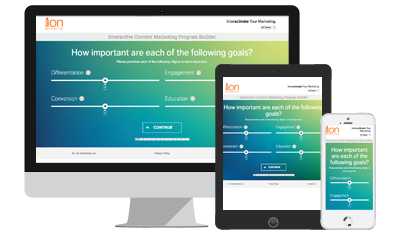 Determine the potential value of an interactive content asset by answering a few quick questions.